Spring is here and we are loving it! Not only are we loving the warmer temperatures, but we are so happy about not having to wear coats, boots, mittens, and scarves everywhere! 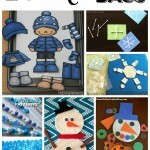 A few months ago, I shared my winter dress up busy bag and I heard from many readers that you loved it! Today, I’m sharing with you my new spring clothes dress up busy bag! 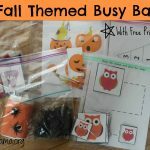 This is a fun busy bag to put together for your little ones. 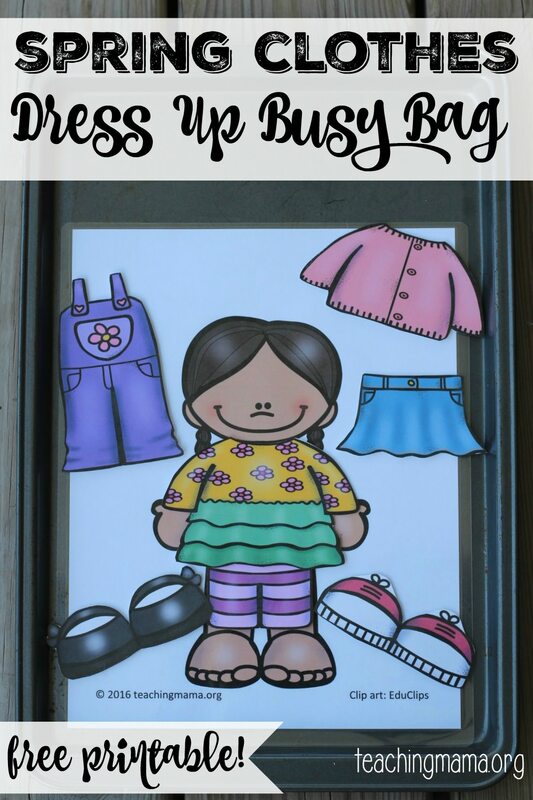 Purchase the doll clip art and spring clothes clip art. 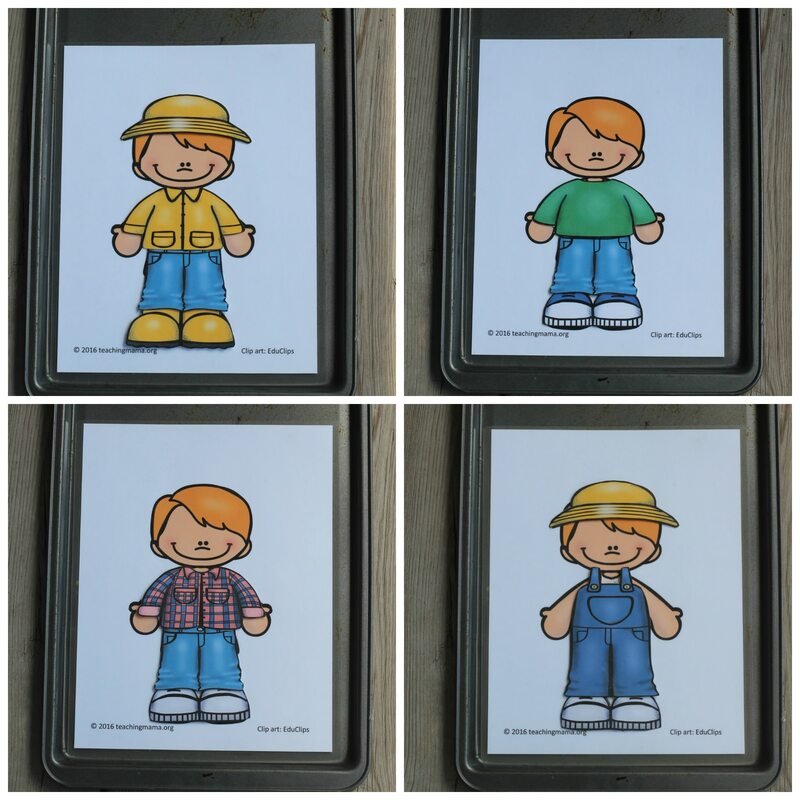 Resize the clip art to fit the dolls using PowerPoint or Word. 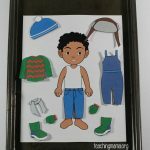 Print the spring clothes printable onto card stock paper. Laminate the sheets to make them more sturdy. Cut out the spring clothes. 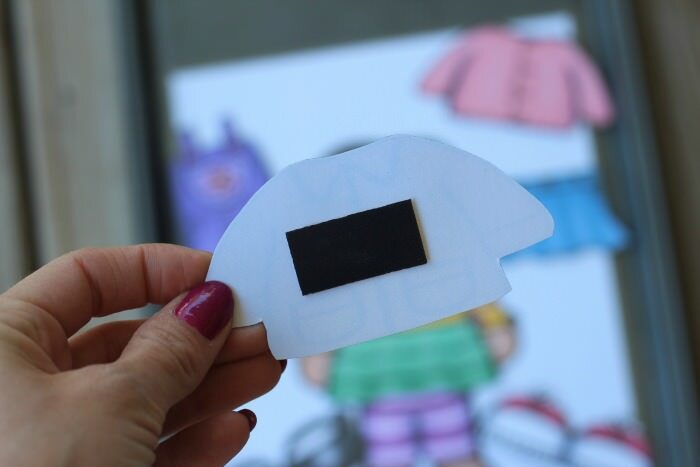 Add a magnet to the backside of each picture. Place the boy or girl sheets on a cookie sheet. 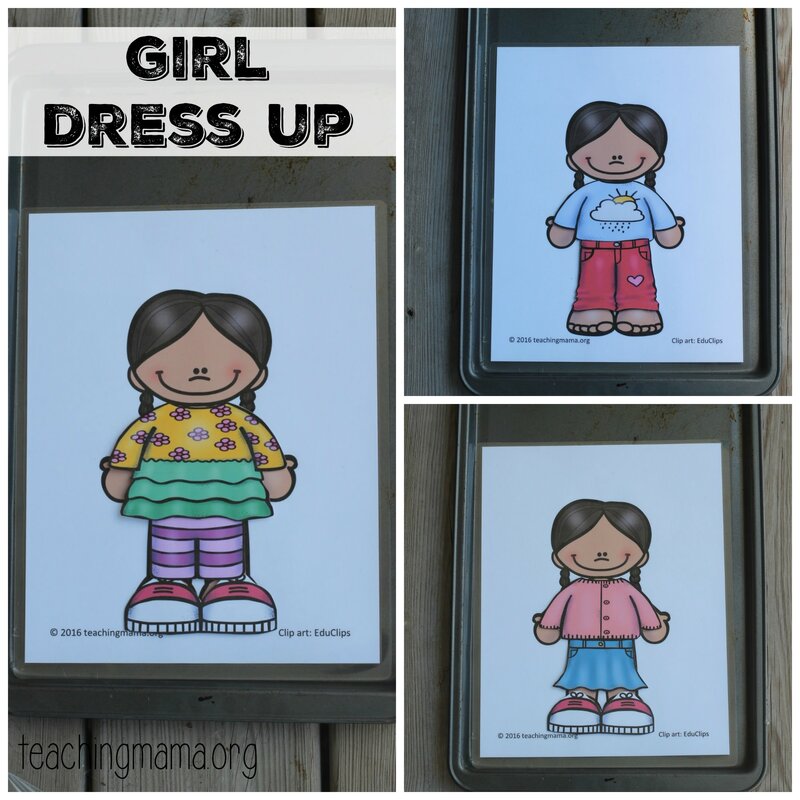 Invite your child to dress up the children with the different clothes. While playing dress up, talk about the names of the clothing items and when you would wear them. I love this cute set! 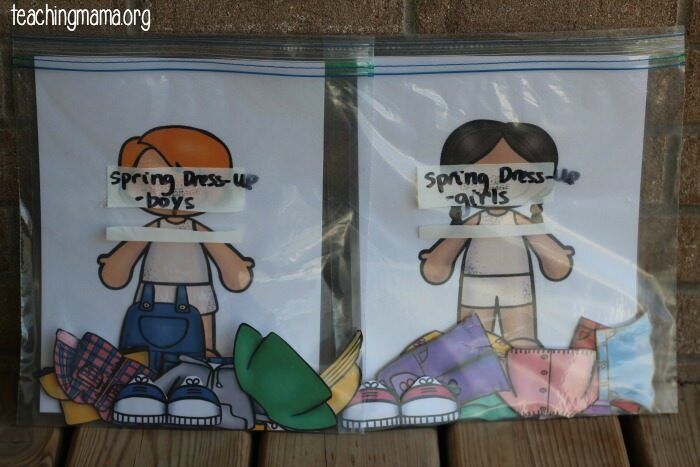 After you’re done playing, store the printables in a gallon sized Ziploc bag. 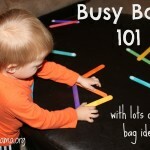 This is a great way to keep them organized, especially if you don’t want them to get mixed up with other busy bags. Make sure to head over to Educlips to get this adorable set! 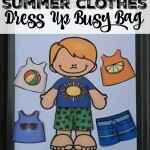 Are you going to do a Summer Dress Up Busy Bag?! Yes! I can post that next week. Thanks for your patience! I’ve just found your busy bags and they’re so adorable! 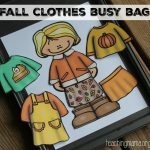 I hope you’re going to make one with autumn clothes as well 🙂 Thank you for amazing printables. My daughter and my students are gonna love them! I love the dress up busy bags! Any chance you would post them without color? My kids love to color their own clothes and add details to match themselves. I’m sorry, but I am not able to do that. Wish I could! I am a 2’s teacher at 2 different preschools. Karen I stumbled across your winter dress up busy bag on pinterest. I was thrilled to discover you have fall, spring, and summer as well! Thank you for your creative ideas! How do you print them out without having to download a new tool bar? Thank you very much for your amazing and so colourful clothes bags! They are really incredible! I just found these and they look great! Thank you! Looking at the download it doesn’t include the little blonde boy shown in your pictures. Is there anyway to get a copy of him? Also what kind of cookie sheet do you use? I use a plain one, but it is magnetic. I think that could be why the magnets aren’t sticking for you. Looking at the download it doesn’t include the little blonde boy shown in your pictures. Is there anyway to get a copy of him? I updated the file to show a variety of children, but I couldn’t include the blonde boy because he was a different size. I’m sorry! Why does this say “Free Printable” when it is not free? I have to purchase the materials to do this activity. Paula – I am so sorry about this! It was previously free, but the clip artist contacted me and didn’t want her clip art given away like this, so I had to take the free printable down. I need to change the top image to not say “free printable”. I’m so sorry!